Accidental shooting deaths are a big issue in the United States. The statistics are difficult to observe, but they are important to promote awareness and prevention of accidental shootings. Proper education and training around gun safety is helpful to improve gun safety and lower accidental shooting deaths. The Centers of Disease Control and Prevention (CDC) reports that from 2006-2016, almost 6,885 people in the U.S. died from accidental shootings. Looking at just 2016, there were 495 accidental shooting deaths. People who die from accidental gun shootings are more than three times as likely to have a firearm in their home compared to those in the control group. American children and adolescents face substantial risk of exposure to injury or death from guns. The majority of accidental firearm deaths among children are related to children having access to guns. In addition, adolescents are more susceptible to accidental shootings because of their behavioral characteristics, including: feeling invincible, impulsive, and curious. As crime scene cleanup professionals, we understand the devastation accidental shootings can leave behind. Proper gun safety can help lower the number of accidental shooting deaths, and it’s important to understand the following simple precautions that may help lower the likelihood of gun-related accidents. These precautions are important for everyone to understand, even if you do not own a gun. All weapons should be treated like they can harm you or others. Weapons should never be handled in a careless way. When handling guns, never point it at a person and always keep your finger off the trigger. This rule always applies. Don’t rely on the gun’s safety to protect you from harm. Don’t rely on the mechanical locking devices like the mechanical safeties built into guns. They can fail at any time and should not be used to substitute safe gun handling and safety rules. A gun should always be handled as though it could fire at any time. Unload your gun immediately when you have finished using it. Always keep actions open when not in use. If you do not know how to open the action or inspect the chamber(s), leave the gun alone and get someone to help you who knows how. Understand how the specific gun works, how to load it, and what to load it with. Only certain ammunition can be fired safely in a gun. Most guns have the ammunition type stamped on the barrel. Do not shoot the gun unless you know you have the proper ammunition. Take proper care when cleaning your gun. Before you clean your gun, be absolutely sure that the gun is unloaded. Make sure that the gun’s action is open during the cleaning process. Also make sure that there is no ammunition in the cleaning area. It’s important to consider where and how to store the gun. Each person has a different situation that will need to be considered when storing the gun safely. Research gun storage devices as well as locking devices that attach directly to the gun. Keep the gun out of the hands of people who are not trained to operate it. Everyone should be trained on how to handle a gun by a professional. Find a gun training course to learn how to properly handle a gun. In the training classes, you will learn gun safety best practices, like how to store, clean, and use a gun. In the tragic event that someone is accidentally injured or killed by a gunshot, it is important that the location of the scene is cleaned up properly and safely by a professional. You should never clean up blood yourself. 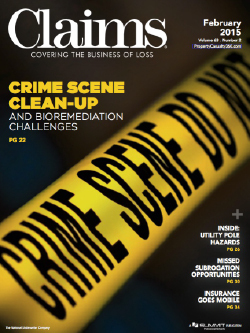 Crime scene clean-up professionals know how to cleanup and disinfect the contaminants that may carry disease or pathogens. ArchAngels is a licensed, bonded, and insured company operated by caring and compassionate individuals that specialize in the field of decontamination and restoration of biohazard environments as a result of tragic deaths and accidents. Our first priority is to help you when it matters the most, easing psychological, emotional, and physical trauma in times of crisis. Contact us online or call us 24/7 at 888-750-0200.